This is our first old fifties mopar. The traveler is rare…and the 51 is very rare. They only made 860 that year. What makes a traveler is that the rear seat folds down allowing a huge trunk compartment….or a pup tent of an rv as we have read about. They all had the same paint colors and “aligator skin” interior. 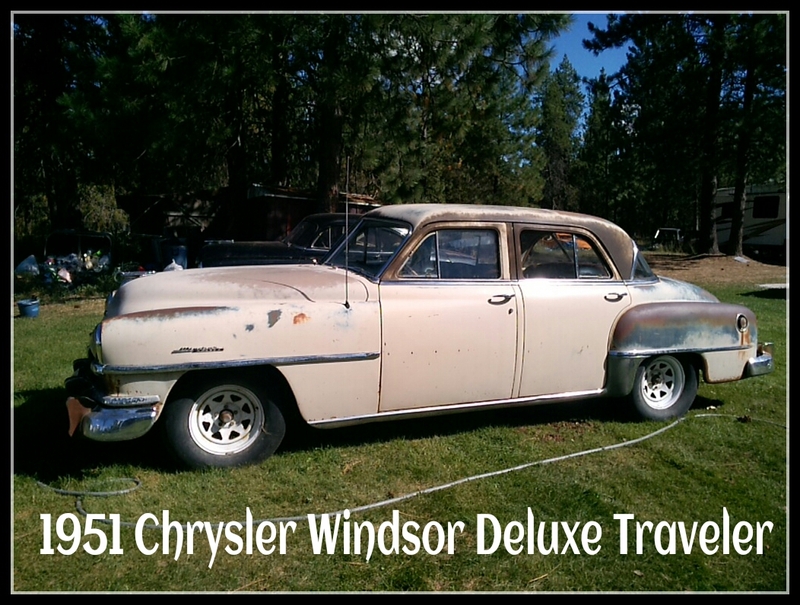 We have noted many differences betweenn the chevy and chrysler of the same years. The traveler has independent front suspension, power window wipers, power breaks, backup lights, dome lights throught the huge compartment….etc. this old traveler has sat since 1963….can’t wait to ge it back in order.